…add jobs, improve housing, provide better transportation service and, in general, spark economic development. Barbara Chaffee, the [Erie] Regional Chamber’s president, promises that the plan will be “actionable.” In other words, there will be specifics about such issues as public transportation, job training, education and government efficiency that can be put in place. “It gives us an opportunity to redefine ourselves,” says Chaffee. The application period for Smart Growth America’s free technical assistance closed yesterday, but we still offer a number of free tools for communities interested in smart growth strategies. Smart Growth America’s Smart Growth Implementation Toolkit was published in 2007 and provides detailed guidelines for community leaders to examine zoning, policies, incentives and other regulations that influence development. The toolkit is free and available to everyone. These tools can be used to help communities develop their own assessments and strategic plans related to growth. Read on to find out more about the available tools. Join us Tuesday, October 25th at 4:00 PM ET for the next Sustainable Communities Network webinar: “Brownfields Redevelopment, Community Revitalization, and Regional Planning: Making It Work Together.” This event is hosted by Smart Growth America and NALGEP. We will hear from the Environmental Protection Agency on how the federal government is working to streamline investments in community brownfield redevelopment and regional planning efforts, particularly through the federal Partnership for Sustainable Communities. We then will hear the stories and lessons learned from a community in West Virginia already working on brownfield cleanup in conjunction with other economic development projects. Speakers include Adhir Kackar and Stacy Swartwood from the EPA; and Dawn Seeburger, Environmental Resources & Consulting who is currently working on brownfields issues in Ranson. Despite a decade of technological advances that make it possible to work almost anywhere, many of the nation’s most educated people continue to cluster in a handful of dominant metropolitan areas such as Boston, New York and California’s Silicon Valley, according to census data released Thursday. Which Is America’s Best City? Ask most people which city they would most want to live in and usually their answers would be shaped by such realities as proximity to their jobs and what they can afford. But suppose you could choose to live anywhere you wanted regardless of cost? What if you could live in a city that offered a wealth of culture, entertainment, good schools, low crime, and plenty of green space? Many people might opt for obvious choices such as New York or San Francisco, but great as they are, data reveal other cities are even better. A new census report shows two out of the 10 poorest big cities in the U.S. are in Ohio. The American Community Survey released Thursday shows Cleveland has a 34 percent poverty rate. That makes it the No. 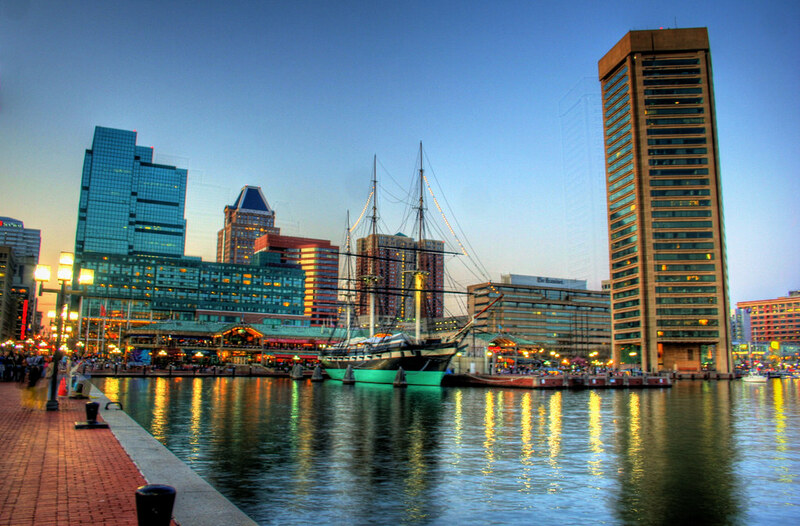 3 poorest city with a population of 200,000 or more, behind Detroit and San Bernardino, Calif.
Last Friday, Maryland released the latest draft of PlanMaryland, the state’s ambitious effort “to encourage smart growth and to discourage sprawl.” The new draft takes into account comments received since the previous version, which was released in April. It makes a compelling case for developing Maryland into higher density residential pockets strategically placed along established lines of road, transit, and water infrastructure. If it succeeds, Maryland circa 2035 will be dominated by a strong orange-red D.C.-Baltimore mega-region. Earlier this year, the city adopted the first key phase of the plan, a “Citywide Vision” that stresses such important topics as efficient transportation and connectivity, parks and open space, diverse and authentic neighborhoods, and taking advantage of legacy industrial areas ripe for redevelopment.